Much public attention has been given to America’s lack of a capability to launch astronauts into space. 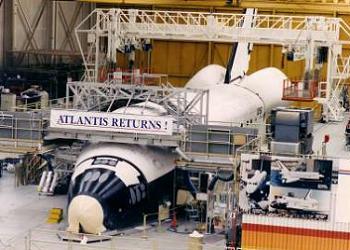 When the space shuttle touched down for the last time the die had already been cast for our near term future in space. 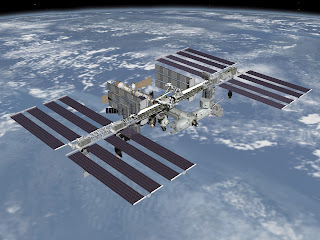 America would become dependent on Russian resources to fly astronauts to its one hundred billion dollar investment in the ISS. Decisions by George Bush and Barack Obama to end the program laid the groundwork for the gap in U.S. manned spaceflight. Actually, neither can solely be blamed for America’s lack of manned launch capability. The foundation for the gap was laid long ago. Despite, the interim pain and embarrassment the country’s space program has suffered, it may actually turn out in the long term to be the right decision. President’s Nixon’s through Obama and their Congressional counterparts all must accept some responsibility for the length of the gap. The manned space program has always been paid lip service and with the exception of Apollo never given its due. As Americans were stepping on the moon, the program was transitioning from a goal-driven to an cost-driven model. From 1970 on, the program would be given just enough to stay afloat, but never enough to adequately support its current initiatives while simultaneously planning for the next generation of human exploration. Almost overnight it had become acceptable for America to step back from a leadership role in space for the sake of saving pennies on the dollar from the U.S. budget. The space shuttle was a unique platform and presented equally unique strategy problems for NASA. The shuttle’s economics never materialized due to design compromises, budget constraints, and political ambivalence towards space exploration following Apollo. If all would have gone as planned the shuttles would be flying every two weeks. Over a span of just ten years their life expectancy would have been exhausted. The complexity of the vehicle, two tragic accidents, and delays in building a space station drastically cut the missions. NASA’s vision called for the shuttles to provide frequent “shirt sleeve” access to low Earth orbit. Flying that ambitious schedule, the four original space shuttles in NASA’s fleet should have exited service in the early 90’s. It would have meant that as soon as the Shuttle started flying a replacement design should have been on the drawing board or at least in discussion. Design, approval, funding, construction and testing would have been a decade long process perhaps longer. It would take two accidents and nearly 25 years before a President would give serious consideration to replace the shuttle. It would turn out that the shuttle’s ten year life expectancy would be tripled, but they would never come close to using up their 100 roundtrip flights each. This extended life greatly increased risk due to other unknowns about the vehicle. These unknowns included corrosion of the airframe due to continued exposure to the salt-laden sea air at the Kennedy Space Center. Another notable risk included cracks in the casings of the miles of wiring buried deep within the shuttle that were impossible to inspect or detect. The extension also meant that the shuttle’s 1970’s era technology would need to be replaced during lengthy overhauls where the shuttle was sent back to the factory from seven to twenty-four months. Despite performance, cost and safety criteria that were never met, the shuttle program continued with no successor on the drawing board. When the program came to an end after 30 years, America would be left without a method to fly to and from low Earth orbit and a replacement vehicle still another five years away. Now it appears we are on the verge of an embarrassment of riches. Multiple companies and alliances are competing to put Americans in space. America may go from no launch platform for putting Americans in orbit to at least three. SpaceX, Sierra Nevada, and Boeing were the winners of additional funding while ATK’s Liberty, Blue Origin, and Orbital have apparently lost out for now. The homegrown SpaceX has the clear advantage, built entirely in the U.S. by an immigrant turned American entrepreneur, it is a story made for the stars. Sierra Nevada’s design heavily leverages NASA’s work on the HL-20. Sierra Nevada’s entrant, the Dream Chaser is loved by those want to see a lifting body, shuttle-like contender while Boeing is developing its own capsule to ferry astronauts. The SpaceX booster is an original design, while Sierra Nevada and Boeing with rely on the proven Atlas V. The Atlas V, which is remarkably reliable, does not have a 100% American pedigree or a man rating as of yet. Its booster relies on the Russian RD-80 engine. However, Liberty should not be counted out yet. 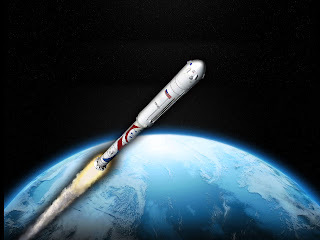 Their design is based largely on the NASA ARES-1 program and leverages proven technologies, while the capsule and first stage are American built, the second stage is the same used on the Arianne V. Liberty could fill a gap in the American launch program should the other’s falter, but there is another potentially lucrative market awaiting Liberty, the international market. Liberty is perfectly positioned to be the platform of choice for the non-US/Russian partners of the International Space Station. Launching astronauts into space is a sign of national prestige, the method of launch was important to the US, Russia, and China, but many other nations have flown their own astronauts on the shuttle or Soyuz/TMA. If Liberty can achieve its operating projections, then it makes sense for ESA, Japan, India, Korea, Canada to brand a version of Liberty and use it as its manned space platform. This model has benefits for all. First, ATK and Ariannespace benefit from having a solid and sustainable customer base to keep production and build technical, assembly and integration expertise. NASA gains a backup launch platform and potential customers for its Kennedy launch complex while the international customers gain independent access to space and the opportunity to deepen their own agendas in space. Liberty may yet be a symbol of the future on manned space where a multinational rocket takes humankind and not just one nation's citizen into space. It is likely that American hubris played a role in Liberty's absence from the initial contract providers to NASA. Americans just cannot yet reconcile flying on a rocket that is not 100% American engineered and manufactured, but times may change. In a way they already have. American's flying on Russian rockets seems quite acceptable despite the occasional voices of discontent. If we objected so much to flying on foreign hardware, Americans would have insisted on an alternative sooner. Lastly, Liberty would greatly benefit from an alliance with Bigelow Aerospace. Bigelow’s inflatable space “habitats” combined with the Liberty capsule would give each participant nation a "turnkey" solution and true independence in space. SpaceX and Boeing have already inked deals with Bigelow to send passengers via their vehicles to these inflatable habitats. Much like the lesson learned with the shuttle and the Russian Mir space station, the future and a backup plan should always be on the drawing board. NASA has already planned on a 2020 decommission of the ISS and there is talk of salvaging some modules for a deep space mission. The ISS can’t last forever. It is possible that a life extension beyond 2020 is possible, but another three-five years maximum before a Mir type situation would be at hand. 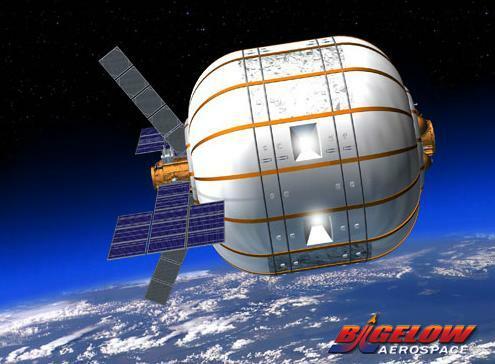 While these nations could use Liberty to deliver crew to the ISS, a partnership with Bigelow could provide a low-cost “space station” for extended stays, research, and experiments. The ultimate goal is not to become independent from the ISS partnership, but provide a system with multiple providers are reliably providing access to space and more countries are simultaneously developing expertise. It moves us one step closer to truly becoming a spacefaring people.